« Who wants a bottle of my mason jar bourbon? After a few weeks off from consistent blogging, I’m seriously refreshed. No matter what your passion, sometimes you need to step away and leave your thoughts behind and the result is almost always a bit of clarity. So it isn’t that surprising that I was on a serious cocktail kick this weekend with new ideas and a new energy to try some local establishments. During our week-long trip in Manuel Antonio, Costa Rica I managed to drink the majority of the cachaça in town. When almost every bar and restaurant lists a caipirinha at 2700 colones ($5.40), it’s easy to knock a few of these back. 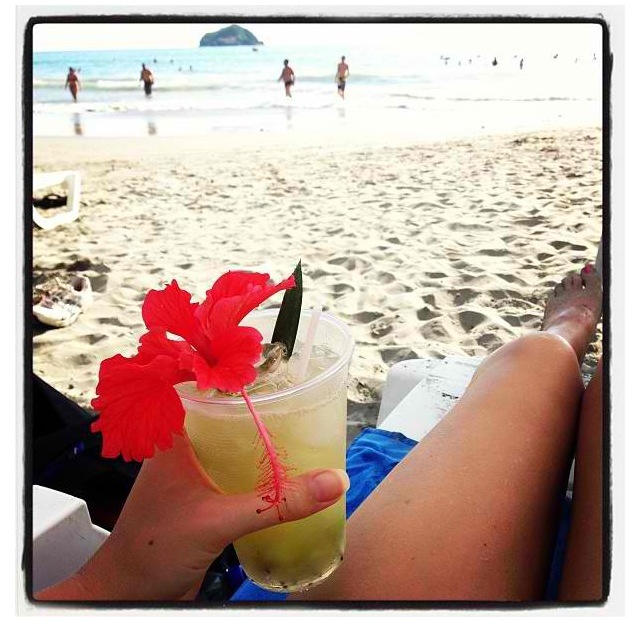 But one of my absolute favorites was the kiwi caipirinhas we had on the beach. Maybe the surroundings helped, but we’ve been craving those cocktails ever since we got home. Friday night I got to work replicating with mashed kiwis, simple syrup, and cachaça. And while I got pretty darn close, the lack of really fresh kiwis, not surprisingly, ruined it for me. So if you live near fresh kiwis, email me, we’ll talk recipe. But like I mentioned early on, my kick lasted the whole weekend and my tangerine, tarragon, and cachaça cocktail from Saturday night was a major redeemer. You know how much I love infusing fresh herbs into my simple syrups and the tarragon is another example of how easy and delicious this approach can be. The subtle liquorice flavors mellow into the syrup and totally compliment the fresh juice of the tangerines. The result is one of the more refreshing cocktails I’ve ever made, and another reason to stock your liquor cabinet up with cachaça. Enjoy! In a cocktail shaker full of ice, shake the first three ingredients and pour with ice into a cocktail glass. 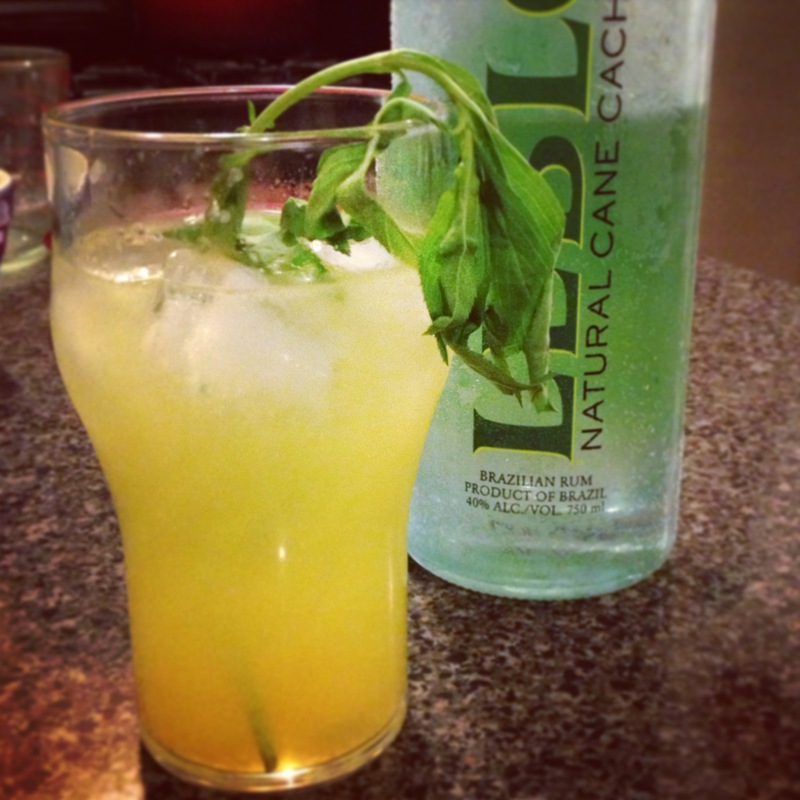 Finish with the squeeze of the lemon wedge, a splash of seltzer and a tarragon sprig for garnish. In a small sauce pan heat the sugar and water until boiling. Add the tarragon, let boil for another minute and then cut the heat. Let sit for a half hour before straining. Keep in the refrigerator until ready for use.